“Money for me?” Peggy asks innocently. Of course, the girls volunteered to tag along on this little social outing and got received a free lunch out of it. And we see that it is treated merely as “just another day at the office” circa Sterling Cooper 1960 in many ways. But we see that it begins to take its toll on Peggy, who is as yet naïve to the ways of office life in the big city. Later in the episode, after a few charming if unsuccessful advances, Paul Kinsey full on throws himself at Peggy in his office. “We can pull the couch up behind the door,” he adds as part of his pitch. Peggy becomes ruffled at being eyed at as “dessert” by all the men of the office and soon after becomes snippy with Joan about it. 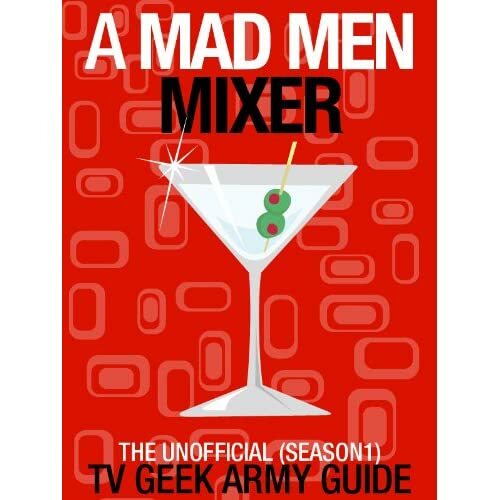 But it’s interesting – and Mad Men is expert at working at these kinds of multiple levels – that she has already hit on her own boss if but shyly (Peggy puts her hand on Don’s near the end of “Smoke Gets In Your Eyes”) and slept with Pete on the night of his bachelor party. “I’m from Bay Ridge. We have manners,” Peggy declares rather emphatically. “Look dear, I don’t know you that well. But you’re the new girl and you’re not much, so you might as well enjoy it while it lasts,” Joan replies.